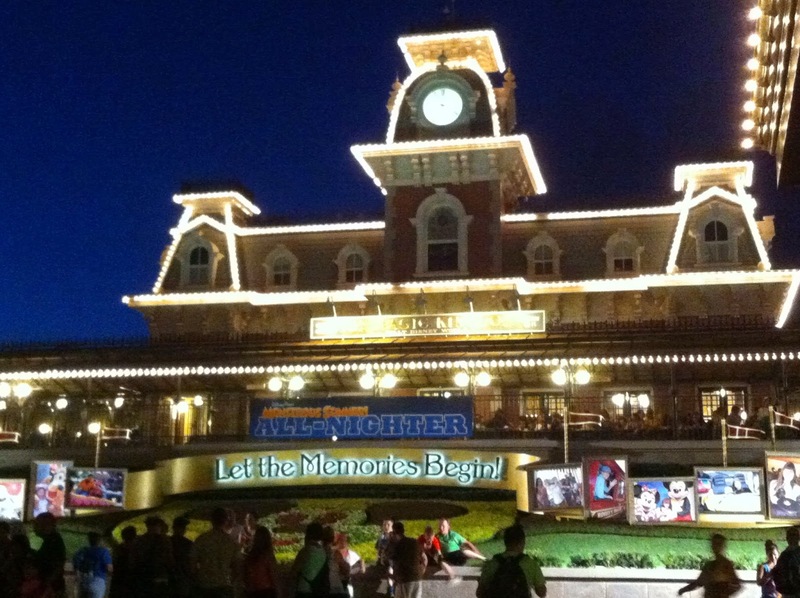 Kingdom Konsultant Travel Blog: 24 Straight Hours in a Disney Park? Count me in! 24 Straight Hours in a Disney Park? Count me in! 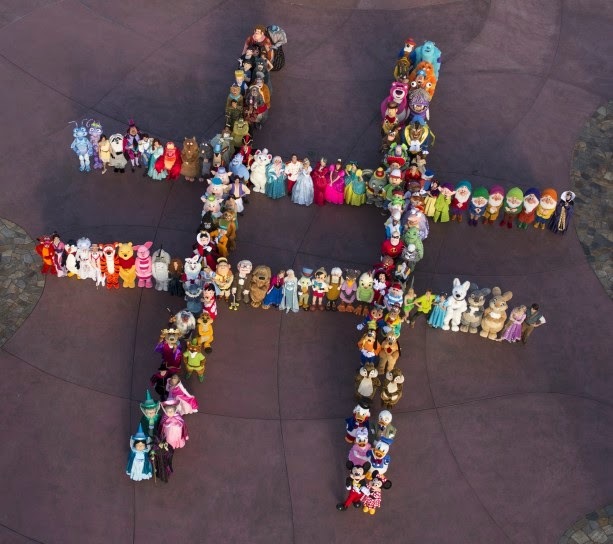 Disney announced this year's event with the ultimate 140 character tweet! Recently, Disney announced a Rock Your Disney Side 24 Hour Event. From May 23rd to May 24th, 6:00 AM to 6:00AM, the Magic Kingdom in Orlando and Theme Parks of Disneyland Resort in California will host the heroes and villains of Disney for 24 spectacular hours. Guests are invited to dress up in child-friendly costumes and rock their Disney side at an event that promises "wicked fun for everyone." As my fellow Disney nerds may recall, last year’s 24-Hour all-nighter kicked off the Monstrous Summer at Disney Parks on May 24th. I am proud to say that I was there for that event. 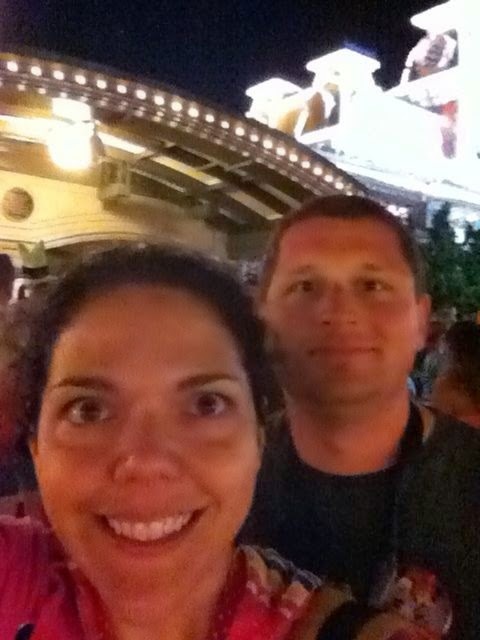 My husband and I hit the bus stop at Pop Century at 5:00AM sharp. Our goal was to get in 24 Hours of Disney, regardless of the park. The plan was to start at the Magic Kingdom and then hop over to Epcot to fill in the middle of the day, and return to the Magic Kingdom in the evening. In my mind, 24 hours of Disney was going to be 24 hours of perfection. I was going to cram as much Disney as I could into that one day and hope it would be enough to carry me through until our next vacation- that was oh-so-far away in September. The crowds that morning at the Magic Kingdom were not bad at all. As I often say, “Rope drop wins.” The rope dropped and we were off. We were going to do it 24 hours of Disney! We made it 16 hours. My 24 hours got cut short because I didn’t for one second realize how popular of an event I was attending. If you are fortunate enough to participate in this year’s event, here are some thing to keep in mind so you can have the perfect full day at Disney World. Realize that all rides in the Magic Kingdom will not be open all 24 hours. Attractions still need to have some down time for daily maintenance, so they will be open at different intervals in those “extra” hours. There will be a list when you enter in the park. Grab it. If you can get your hands on one the day before, go ahead and get it in advance and organize your plan of attack. Know that just because it isn’t crowded in the morning it doesn’t mean it won’t be crowded later. When we returned to the Magic Kingdom from Epcot, we were floored by how much the crowd had grown. Apparently people weren’t willing to get up at 5AM, but they are willing to stay up until 5AM! Realize that this will be an extremely popular event, and the attractions may have longer lines. Wait times for open attractions started increasing rapidly after 7PM. When we left the park around 9-10PM, I don’t remember any wait time being under an hour and a half. We waited at least that long for Buzz Lightyear’s Space Ranger Spin. Be prepared to see some things you would not normally see. To help expedite the large crowd of guests trying to make their way in and out, backstage areas were opened to use as pathways. I had the shock of my life when the gates behind the shops of Main Street were opened and we were ushered out behind the buildings. Behind the buildings! Really exciting for huge Disney fans if you're curious to see a bit of what happens "behind the Magic"- but definitely not the same as the perfect on-stage presence you're used to seeing at Disney. Keep in mind that people do live in the surrounding area and are Annual Pass holders. It just so happened that school was out the following Monday (Memorial Day) and kids had finals on Friday, they were done with school and ready to take on Disney. They showed up in huge numbers. This year’s event falls on that same weekend. Have patience; the crowds will be high, but the transportation is still efficient. On our way out, the buses were three deep for each resort. I am not kidding. (Disney Cast Members did an excellent job with transportation. I cannot say enough good things about the bus organization.) What astounded me was as thick as the lines were to get out, there were even longer lines to get in. All of that being said, would I take back the experience? No. Never. In the end, we all know that we would rather be at Disney World than pretty much anywhere else. If you are planning on attending Rock Your Disney Side’s 24 Hour event, keep your expectations realistic. I am spoiled in that I only visit Disney during low-attendance times, and I was shocked at the influx of people as the day progressed. I shouldn’t have been because, really, who can resist 24 hours of the happiest place on earth? Not this girl! I wish EPCOT was doing this too. We will be there visiting on the 23rd.